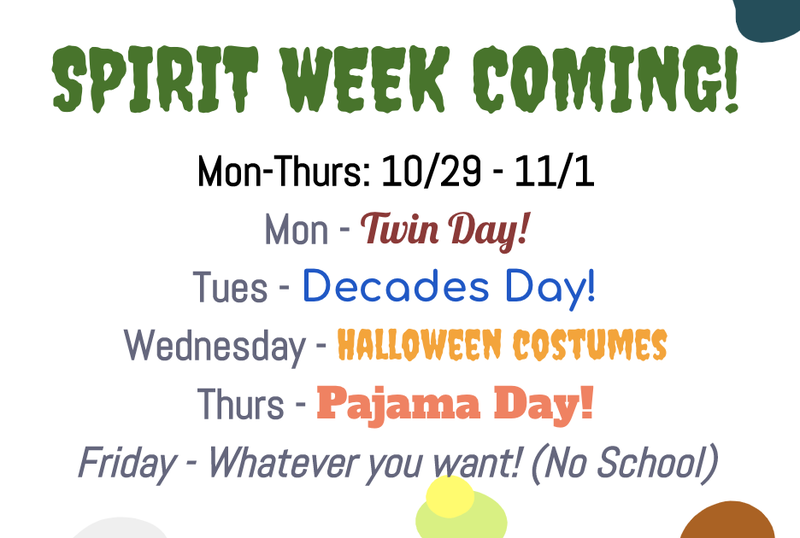 Week 12 is Spirit Week! See below for each day’s theme. November 1 @ 4:15 pm – DVD School Site Council meeting in Room 4303.